Orlando and London and NYC, Dec 2017: TEA Ugly Holiday Sweater competition on two continents! As of 2017, the TEA "Ugly Holiday Sweater" challenge is international! 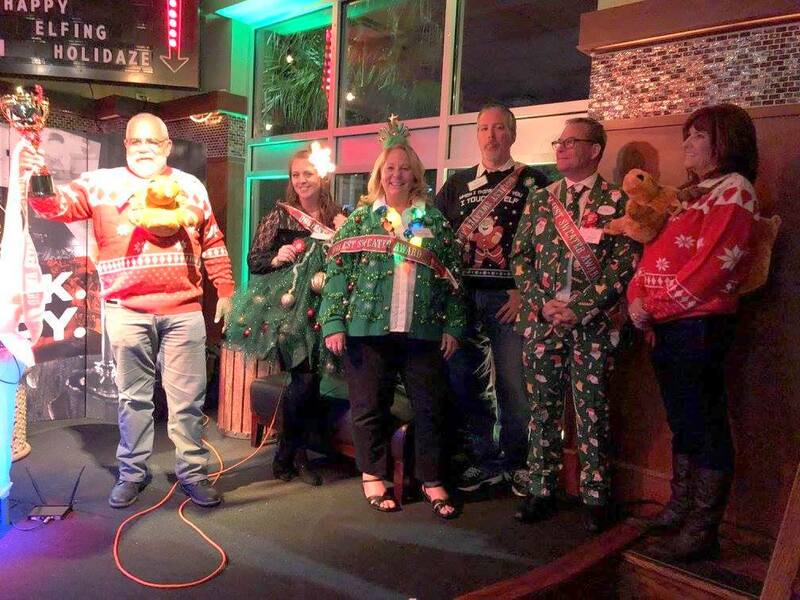 It is a tradition of several years' standing for the Themed Entertainment Association (TEA) Eastern North America Division to observe the season with an Ugly Sweater party in Orlando, which took place on December 13. Celebrants wear their ugliest holiday-themed sweaters and a winner or winners are selected. 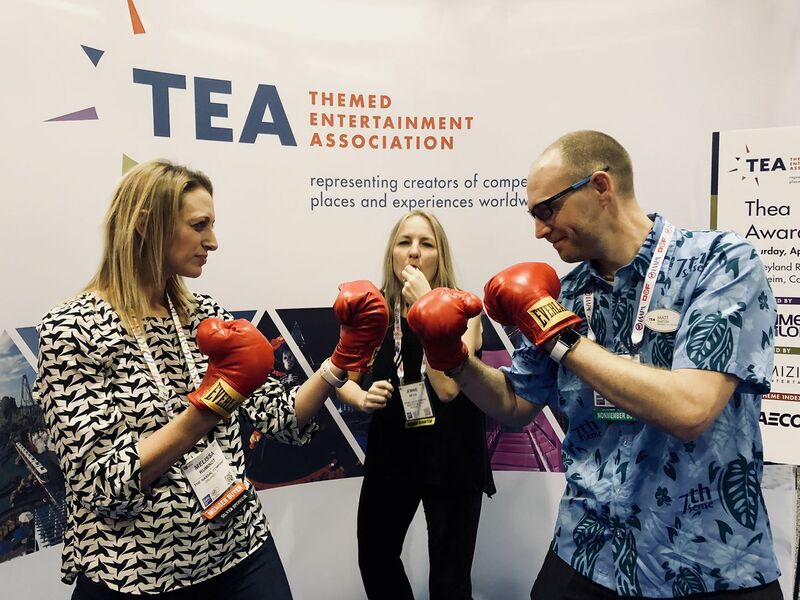 In 2017 a challenge came from the TEA Europe & Middle East Division (EME) to extend the competition internationally. 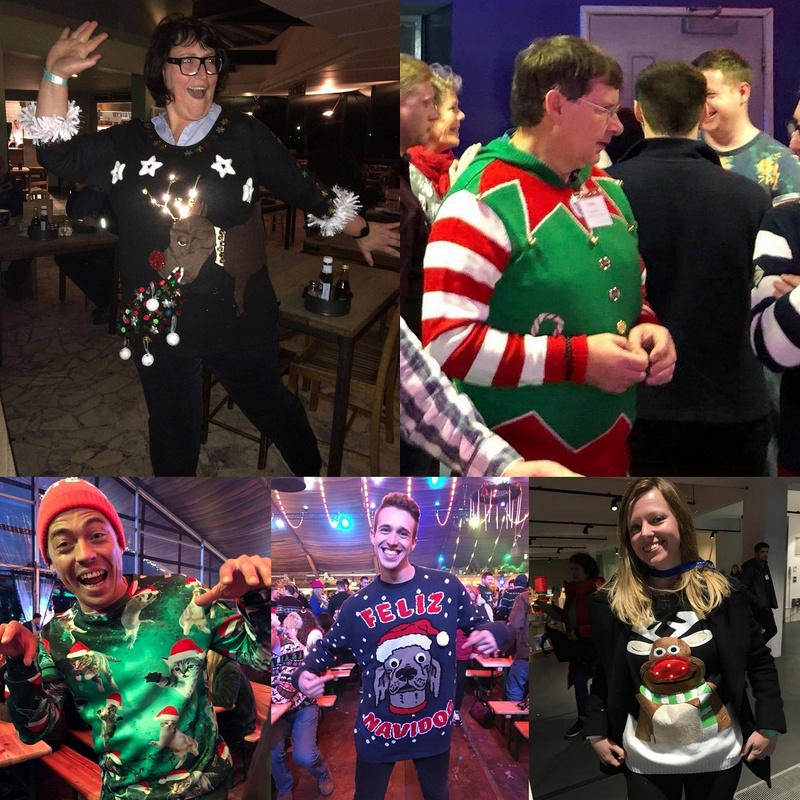 The EME Division added an ugly holiday sweater component to its Festive London Day Out, which took place on December 19. 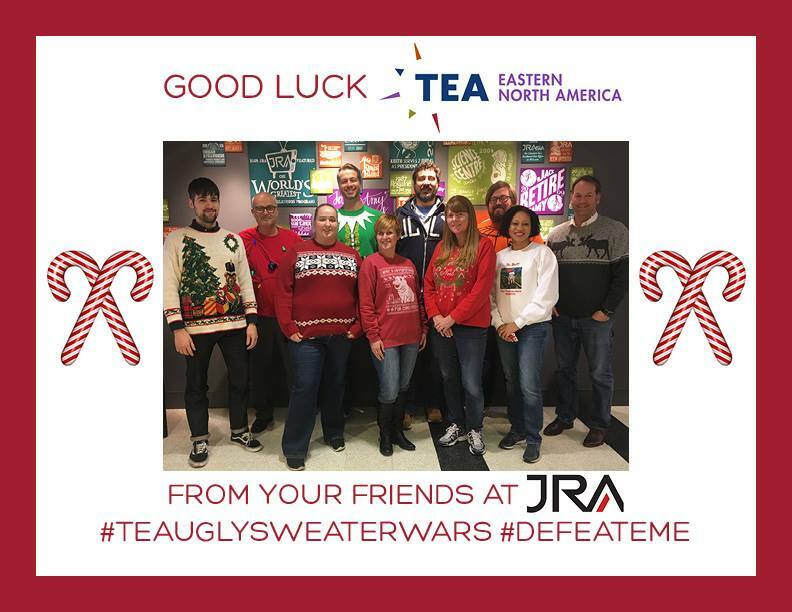 In January 2018, TEA's international Ugliest Holiday Sweater of Them All (2017) will be announced, selected from among the finalists of each Division's competition. Further information will be forthcoming on the finalists and the ultimate ugly winner. Nearly 60 people attended the TEA EME Festive London Day Out on Dec 19, 2017, generously supported by sponsors DJ Willrich Ltd., Severn Lamb, Garmendale Engineering and Electrosonic. Crystal Maze was the first stop on the route. 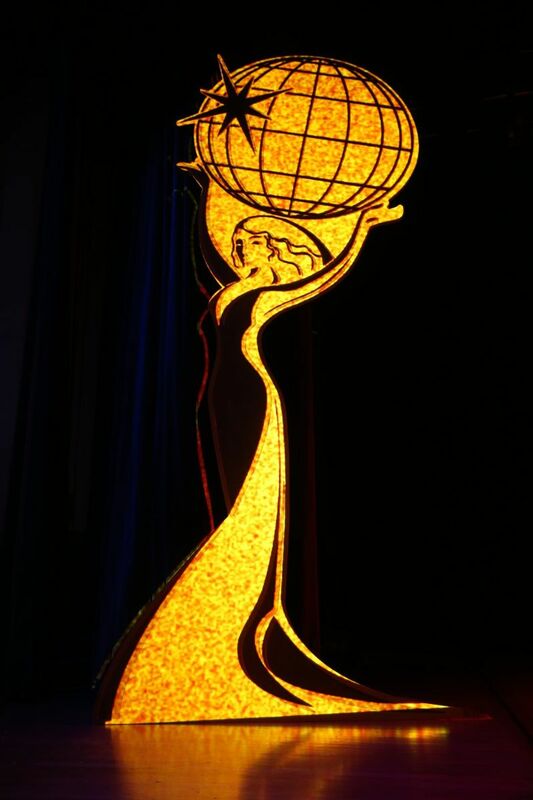 This venue is based on a 1980s TV show in which teams had to complete challenges to win crystal; if they failed the challenge, they would be locked in the room, in a scenario similar to escape rooms. There was great team spirit shown and the competitive nature of our members came to the fore. For some, it was an initiation into UK television history, for others a trip down memory lane. After the Maze there was a burrito lunch and a short talk with a Q&A session with Crystal Maze – super helpful and open. Chris Willrich then led the group on a 20-minute walk through the back streets of London to our next destination, the Postal Museum, to experience the newly opened Mail Train. This was an interesting if somewhat claustrophobic opportunity to experience what it must have been like to be a parcel in the UK mail system in decades gone by. We experienced the underground, narrow-gauge rail system used to transport mail around London up until 2003. After that we gathered at Hyde Park Winter Wonderland. 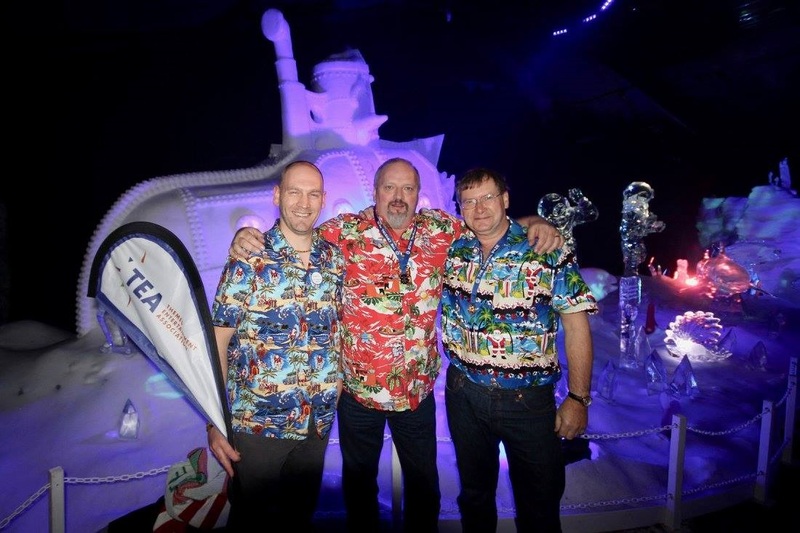 We enjoyed a short presentation by Suzy Griffiths and a visit to the Ice Sculptures exhibition, which some of our group chose to explore wearing Hawaiian shirts. This was followed by a sojourn at the Bavarian Beer Hall, and it was here that the Ugly Sweaters really had a chance to manifest themselves and be admired. A humorous holiday brush with the police happened en route - the policeman spotted some of our holiday head-gear and suggested swapping. 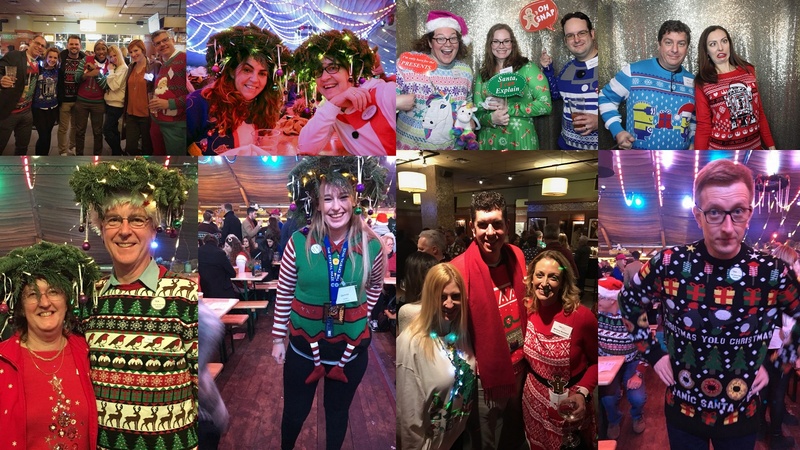 More than 160 people donned their ugliest sweaters and got into the holiday spirit at TEA Eastern Division’s 3rd Annual Ugly Sweater Holiday party. Judges included our generous sponsors – McLaren Engineering Group, BRPH, and exp. They were aided in their judging responsibilities by the unbiased opinions of the Bar Louie wait staff. AIA Orlando sponsored the photo booth, and Nassal also contributed as a supporting sponsor. Not only did we all get ugly - but it was for a charitable cause this year! We hosted a silent auction to benefit the Hispanic Foundation, which is assisting with recovery efforts of those affected by Hurricane Maria in Puerto Rico. This effort collectively raised over $3,000 between the silent auction and the contribution from Bar Louie and their “Louie Loves” program which contributed 20% of the sales from the night to the cause. The silent auction items were donated by Shane Grammer, PCL Construction, Mad Systems, Tommy Bahamas, The Capital Grille, and Gregory Stock with Stantec, and we thank them all for their generosity. 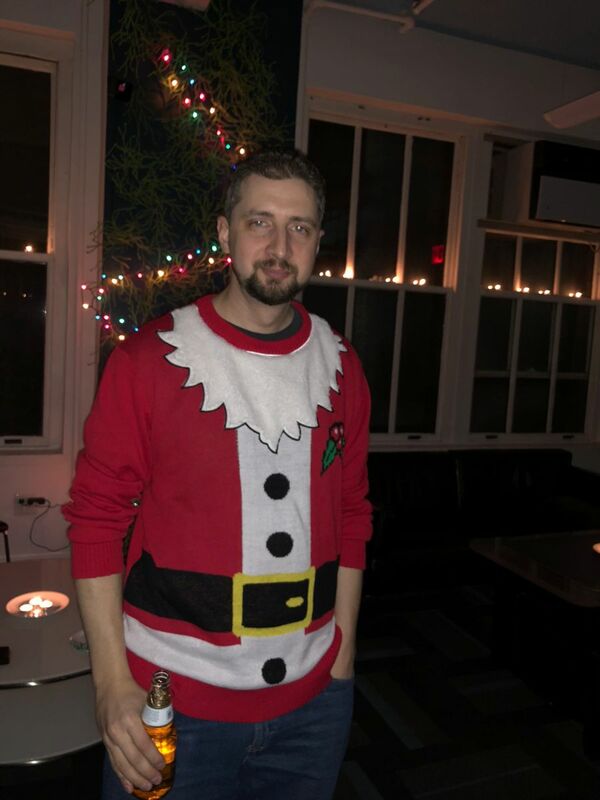 Meanwhile, in New York City, Blue Telescope organized a satellite Ugly Sweater Party, and Adam Morgenstern was deemed to have the ugliest garment. 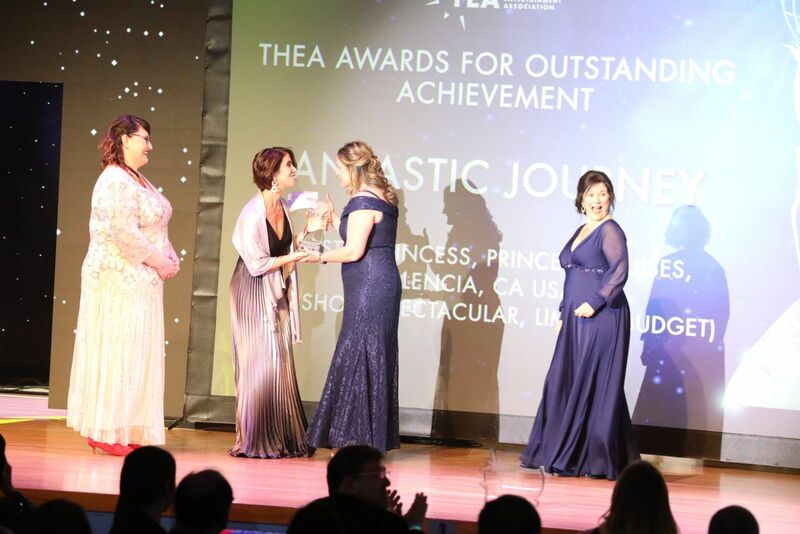 Tickets are now on sale for 2019 #TEAsummit and #TEAtheas April 11-13 at Disneyland Resort in Anaheim, the biggest weekend of events for the Themed Entertainment Association (TEA) and the global attractions industry that TEA serves. 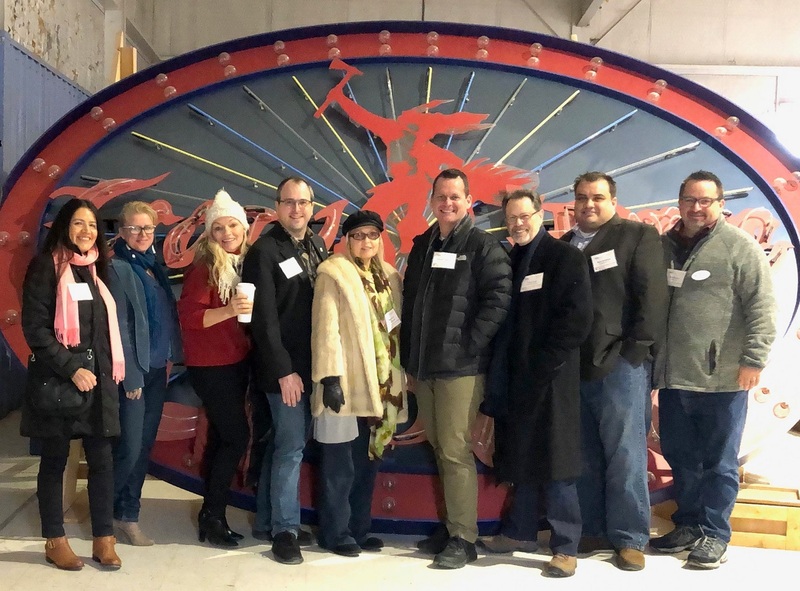 The Themed Entertainment Association (TEA) Eastern North America Division organized an educational excursion to the beautiful city of Santa Fe, New Mexico, Feb 21-23, 2019.